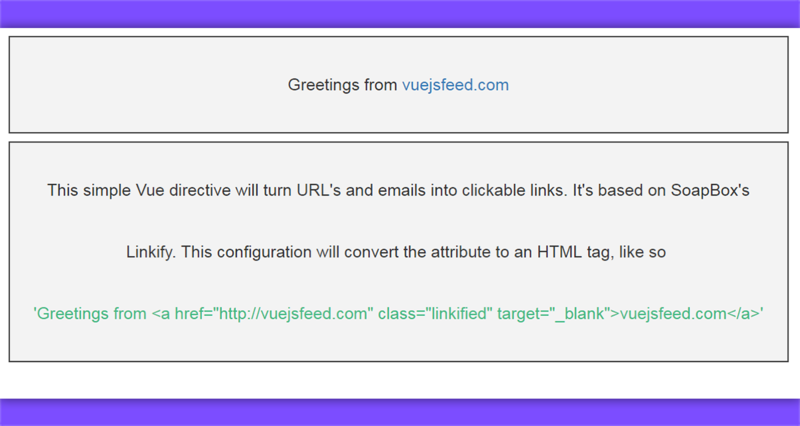 A simple Vue directive to turn URL's and emails into clickable links. Pass the text along with URL or email. Or you could set the tag name to use for each link, for cases where you can’t use anchor tags. For a list of more options see the Linkify JS plugin. Check vue-linkify out on GiHub, by Phan An.